The purpose of this study was to determine in a randomized, crossover manner, the efficacy (effect, or bio-availability) of a Cannabis wafers containing THC/CBD medica,on (pain relieving agents). 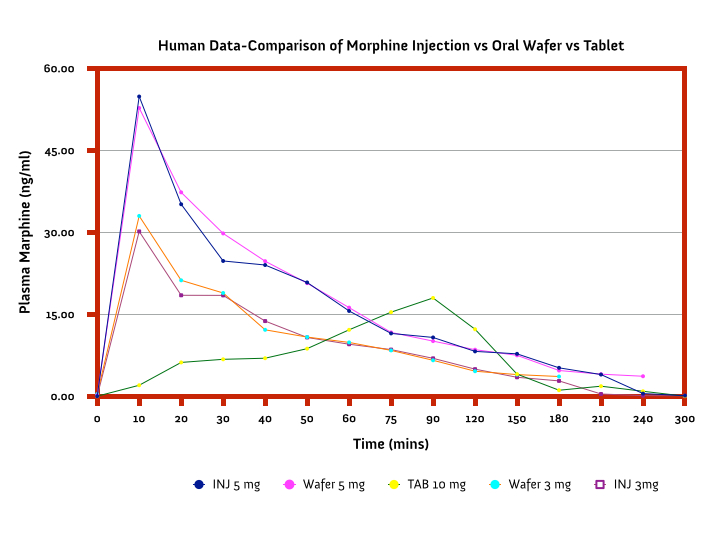 The secondary objective was to assess the safety, tolerability and the side effects of various doses with the onset of action. 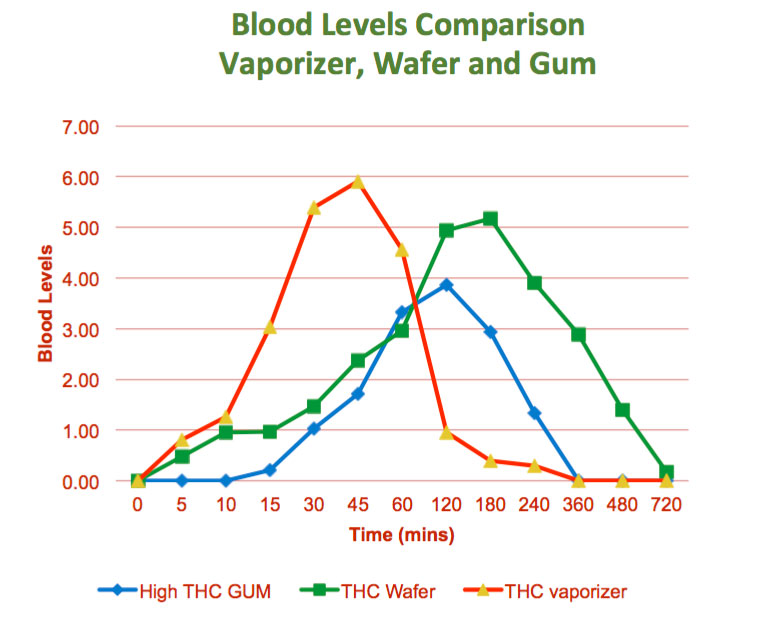 The study was a opened label, randomized, crossover, and dose ranging comparative study of Wafer, Vaporizer and THC wafers administered on different days in 13 healthy subjects (7 men and 6 women). The wafer was only 1.5-2 cm and approximately 0.05 mm thick. The wafer is made from the FDA approved non-medical ingredients used in several pharmaceutical formulations. The trials were conducted at a university in Spain. The dose ranging studies indicated the bioavailability is comparable to i.v. 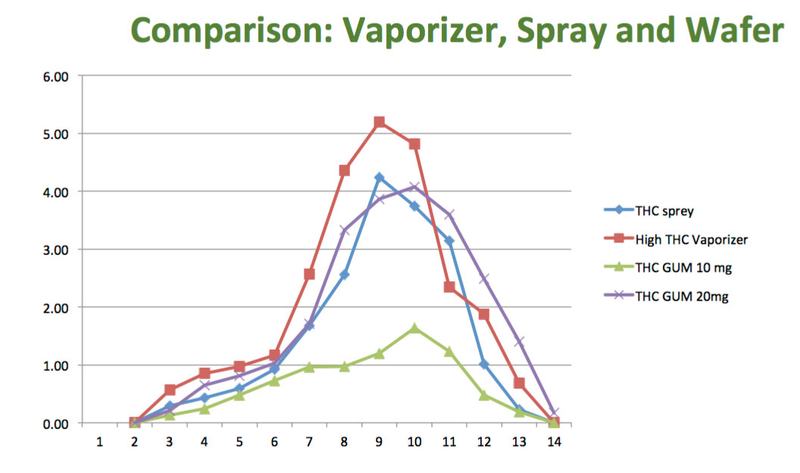 injection or vaporized dosing as the Peak plasma concentrations were achieved Pmax or (Cmax) within 10 minutes. 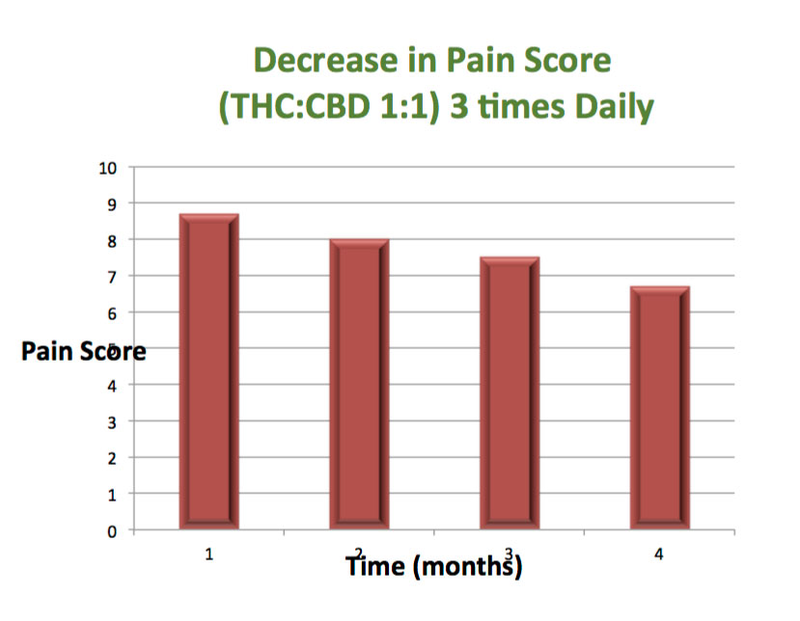 No serious adverse events observed during the trials even using higher doses of THC and CBD. The heart rates, respiratory rates and blood pressure remained normal during the en,re study period and patients tolerated the taste and drug well. These observations conclude this novel drug delivery system is commercially viable for treatment of pain management, and other neurological disorders, like epilepsy, PTSD, breakthrough cancer and post-surgical pain in humans. All Dogs received all four treatments on a separate occasion as per the randomization schedule. All subjects received all four treatments on a separate occasion as per the randomization schedule.